Have you ever owned a motorcycle? If you have, you know how fun it is to ride one. The wind in your hair and the rush of adrenaline and dopamine in your body when you go beyond 80mph on a bike, it’s unbelievable. But it’s a scary thing if you’ve seen the horrible crashes that happen on the roads. People have probably warned you about the dangers of riding a motorbike, and the videos on crashes are very grave when you think about them. Motorcycle accidents are a scary thing. There may not be many motorcyclists on the road but they do make up a significant portion of road deaths. 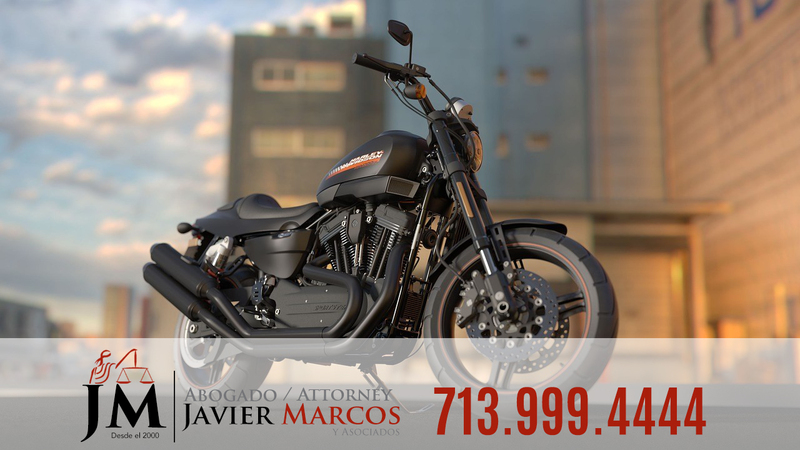 And when it happens, you may need a motorcycle accident attorney like Javier Marcos. When you ride motorcycles without safety gear on your body, you are much more likely to suffer fatal injuries. While that may not be the case, you should always be careful when riding you motorcycle as you are at a higher risk that people in other kinds of vehicles to fall prey to accidents. Due to insurance, other vehicle drivers may not be that concerned about the scratches or dents on their car, but you as a motorcyclist, don’t have the protection that they do. You are completely exposed when you’re riding a motor bike and it needs to be abundantly clear that you have to be extra vigilant. Some people don’t care about the risks to their life. You don’t have to “be” those people. You need to be a cautious and careful individual, because it’s your life at stake. The most common kind of injuries that happen as a result of motorcycle accidents include sprains fractures, deep and open wounds, fractures and contusions (these two are the highest), and minor or superficial injuries. If you’re riding a motorcycle by yourself or at night along a stretch of rural road, you’re more likely to have an accident according to some statistics. You stand a greater chance to run off the road and that’s why rural roads at night are dangerous due to low visibility. Who doesn’t appreciate a weekend joy-ride or a nighttime ride to take your mind off things, but it’s safer to find a better time for it or try something else that doesn’t put your life in danger. The previous section detailed three things, riding alone, at night and on rural roads. There’s a reason why these things are important. When you get involved in a scary motorcycle accident that leaves you with a bad injury, every second matters. That’s where the concept of golden hour comes from. It’s the “3600 second” window that counts most after an accident. It’s the time that you seek medical attention in; and the quicker the better. Your chances of a full recovery are also made better when you get help soon. In the scenario mentioned above, it might get difficult to notice a fallen motorcyclist and that means you might lose that golden hour. When you do have an accident on a motorcycle and its someone else’s fault, its best to ask an motorcycle accident attorney for help.